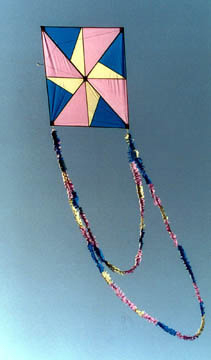 If you are an inexperienced kitemaker, this is a great project for you. It is easy, fun and flies great when its done. Plus, you may actually learn a few useful tricks. If you are an experienced kitemaker, we need you. Help us evaluate what we can and cannot accomplish in this online format. As an added benefit you get the prestige of being able to say you have been here from the very beginning. This project was kitebuilder.com’s first online kitebuilding class.